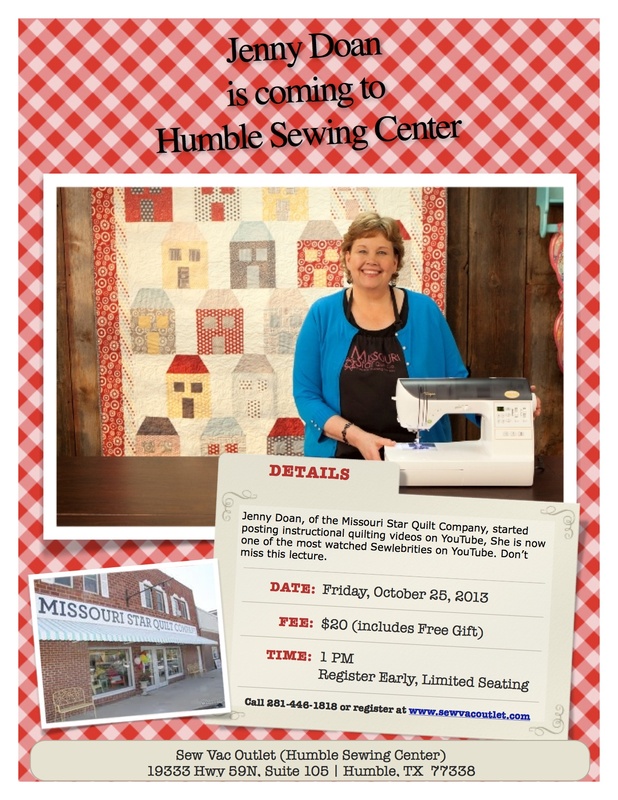 FREE monthly sew club for kids will resume classes at Humble Sewing Center on Saturday, September 27th from 6pm-8pm. Contact instructor, Jenny Gabriel via email if you would like to attend! Hi! 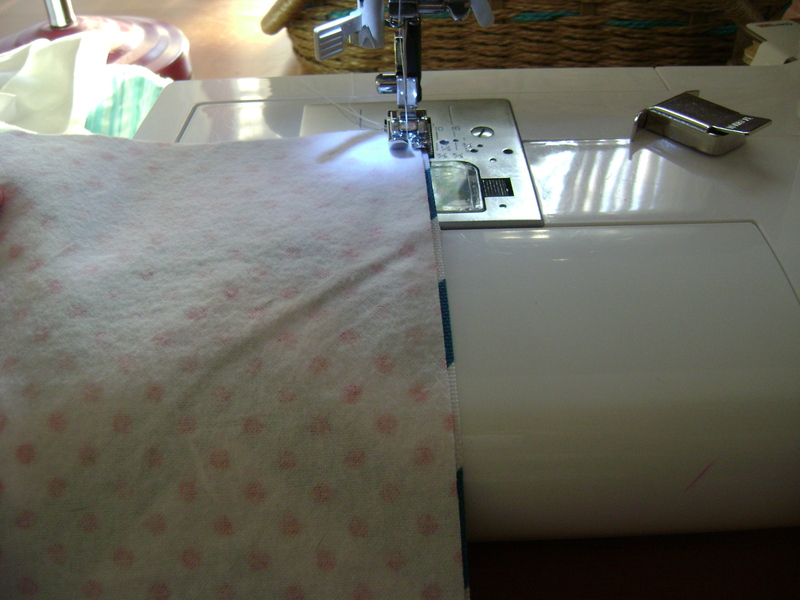 One of the things I love to do at our monthly Free Girl’s Sew Club is to KEEP IT SIMPLE! 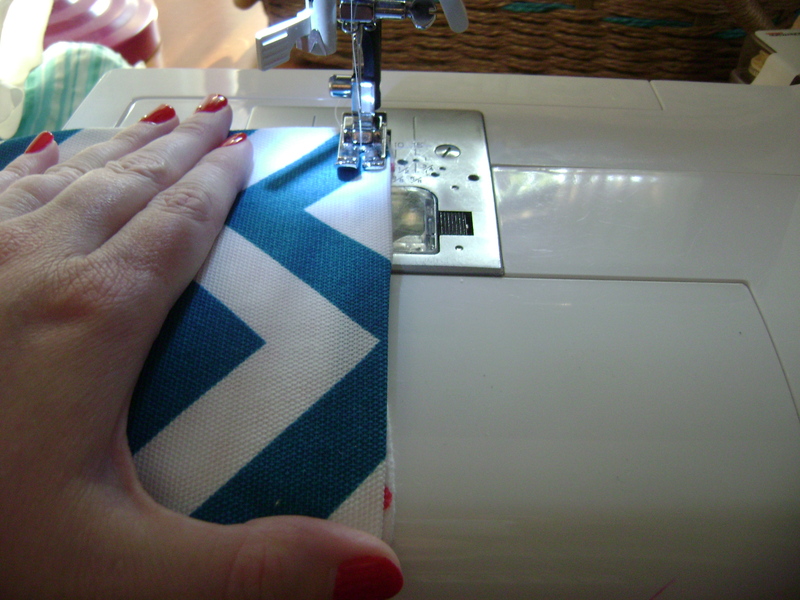 So, we offer a variety of easy projects that can usually be completed in one 2 hour sewing session. The diagonal stripes were made from a stack of jelly roll strips that the girls organized in a pleasing manner and then sewed together using a 1/4″ seam allowance. 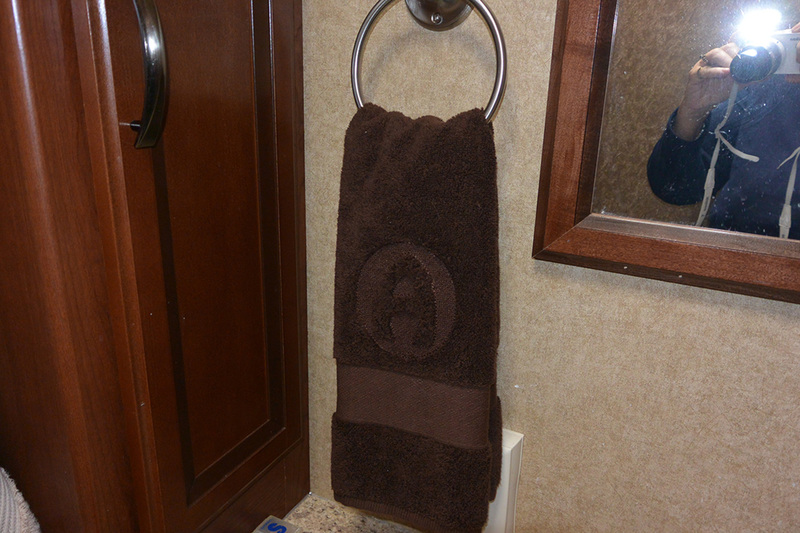 We made sure they had enough strips sewn together to have a pieced fabric that measured a little over 19″x13″. Then, we made a “quilt sandwich”. Basically, a piece of fabric for the place mat’s back was laid with it’s wrong side up, then a layer of quilt batting was laid on top of that, and lastly the pieced fabric was laid on top of the batting with its ride side facing up. Each girl then chose a series of decorative stitches from her sewing machine and sewed either down the center of certain strips or she would sew right in the seam of two different strips. After all the stitching was done (actually, this is called the quilting part) the quilt sandwich was cut into a place mat sized rectangle about 19″x13″. If you have no clue how to make mitered corners, click on this link to a great tutorial by Jenny Doan of Missouri Star Quilt company. Some of the kids kept it really simple and just did horizontal stripes and used the “pillow case” method to finish their place mats. After the strips were all sewn together, we cut the pieced fabric, batting, and place mat backing fabric down to the right size before we continued. Then we laid the batting down first, next we laid the pieced fabric with its right side face up on top of that, and last we laid the backing fabric face down (wrong side up) on top of the pieced fabric. We sewed around all four sides and left an opening for turning the place mat right side out. Then we sewed the opening shut and added some decorative stitches on some of the stripes to quilt the place mat. The process is essentially making a flat pillow that has a layer of batting inside so that’s why it’s called the “pillow case” method. This Mother/Daughter team opted to make a Crazy Patch version of the quilted place mat. Here they are laying out their plans for the next pieces. She’s stitching the next piece of the crazy patch. Look at how well it’s all coming together! The crazy patch method turned out to be most time intensive of all since it required more pressing and she had decided to have a 6 sided piece in the center of her crazy patch. Usually, and likely due to ease of construction, most crazy patch quilts have a 5 sided piece in the center of each crazy patch block. Her project did look beautiful though! Thanks so much for reading! I hope you enjoyed and visit again soon! This entry was posted in Classes, Project Tutorials, Quilting and tagged quilted place mats, sewing with kids on August 10, 2014 by Jenny Gabriel. Do you like crystal designs on t-shirts, totes, or on pants? It seems that bling is everywhere. Some crystals can make a plan t-shirt look like a designer t-shirt. And, it is EASY… You can put the crystal wand in the closet; you won’t need it anyone with the Artistic Crystal Software and Cameo Silhouette cutter. Create a crystal design from a clipart, add crystals to an embroidery design, or use your fonts to create designs with team names, bridal party accessories, birthday t-shirts. You are limited only by your imagination. The Artistic Crystal System is on display at Humble Sewing Center. Stop by the store to see a demo and some samples that we have created. Check out the shirts that I did this weekend. 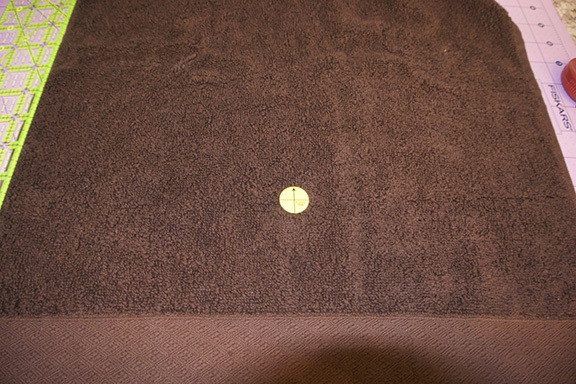 Draw a cross on paper and scan it. 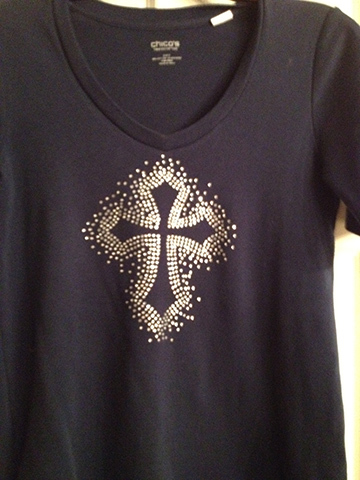 Using your mouse, place the crystals around the cross in the desired pattern. Turn on the Cameo Silhouette and load the template material. Export it to the Cameo Silhouette and cut. 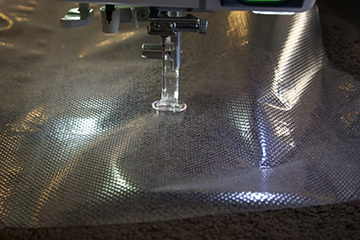 When the cutting is complete, unload the template material and pull it off the mat. 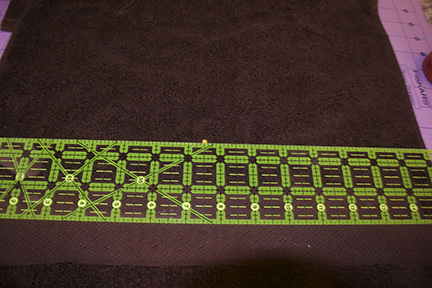 Place the template on the backing board. Place the template in a tray and pour crystals on top of it. 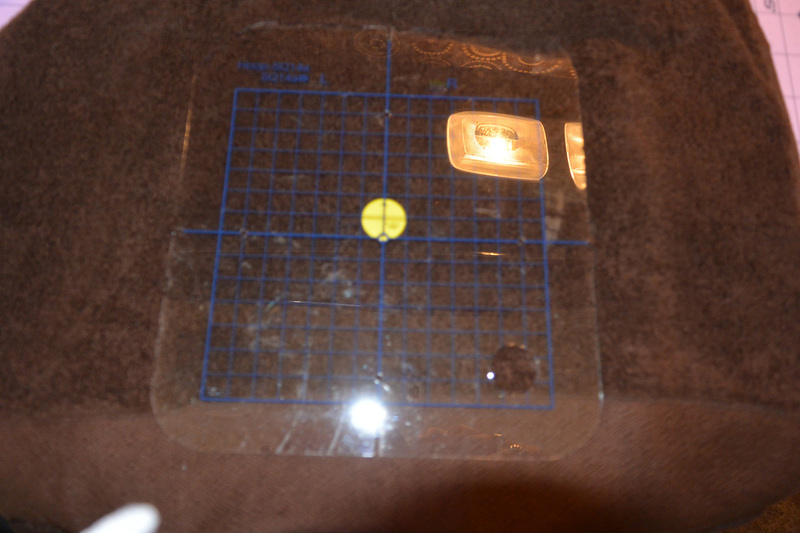 Using a trim and touch up pad from the starter kit, move the crystals on the template in a back and forth motion. The crystals will fall into the holes. Turn any upside down crystals over with the silhouette tools included with the cutter. Cut a piece of transfer tape to the size of the template. Separate the sticky top from the bottom. Place the clear tape on top of the template. Press it with your fingers so the crystal stick to the transfer tape. Pull the transfer tape off of the template and place the bottom on it. 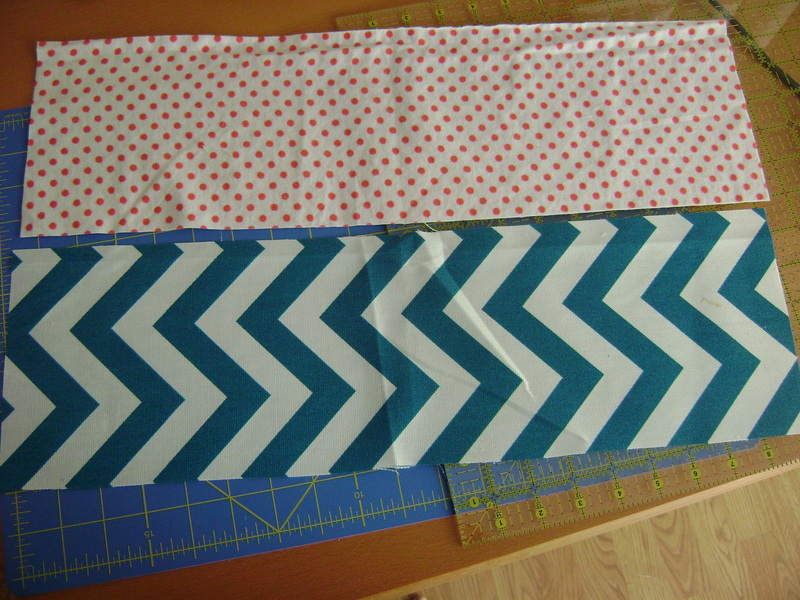 When ready to iron on the transfer, pull the bottom off of the transfer tape. 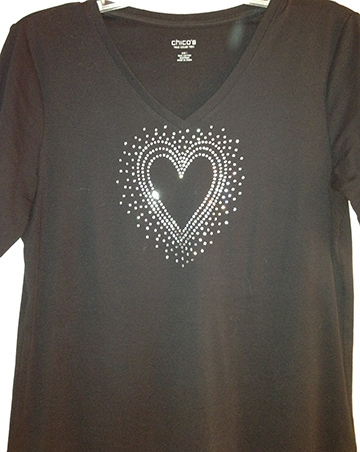 Place the crystals on the t-shirt in the proper position. 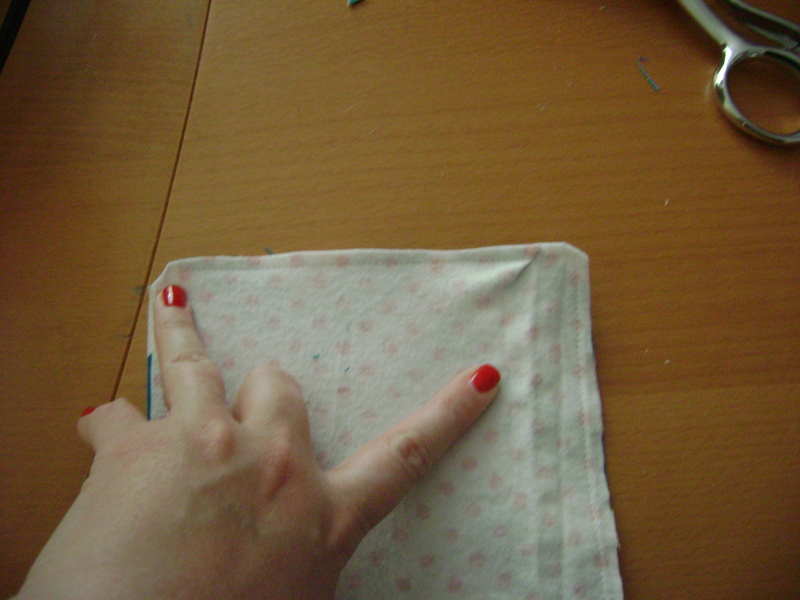 Place a pressing cloth on top of the transfer tape, hold a hot, dry iron on top. Hold in place for 30-40 seconds. Remove iron and pressing cloth. Lift transfer tape carefully. It will be hot. 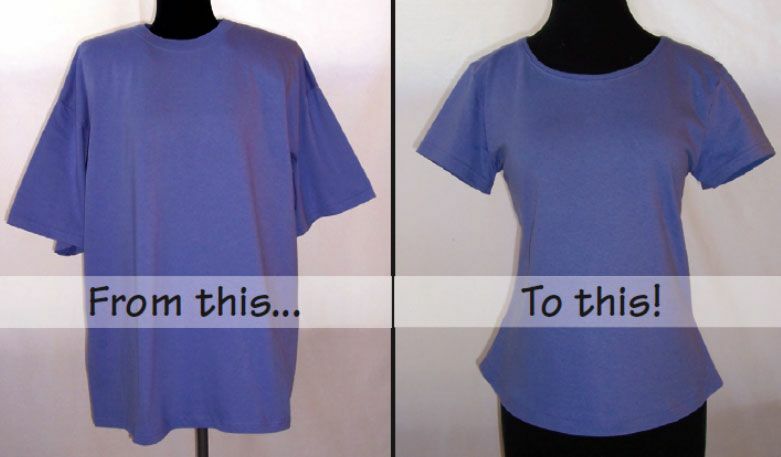 If crystals do not stay on the shirt, replace pressing cloth and iron. Hold in place a little longer. Lift transfer tape. Crystals should remain on shirt. Place the pressing cloth on top again and hold the iron for 10-15 seconds for one last shot of heat to secure the crystals. You are finished. Save the template. You can use it whenever you want to use that design. You reuse the transfer tape as long as it remains sticky. This entry was posted in News, Project Tutorials, Tips/Techniques FYI and tagged artistic software, bling, cameo silhouette cutter, Crystal on May 20, 2012 by Designs by Marje. I finally did it. After reading using the Kindle app on my iPhone for over a year, and my Droid before that, I broke down and bought a Kindle. Amazon was offering a great deal on refurbished Kindle Fires. So, not only did I buy a Kindle, I bought THE Kindle. Of course it needed a case! 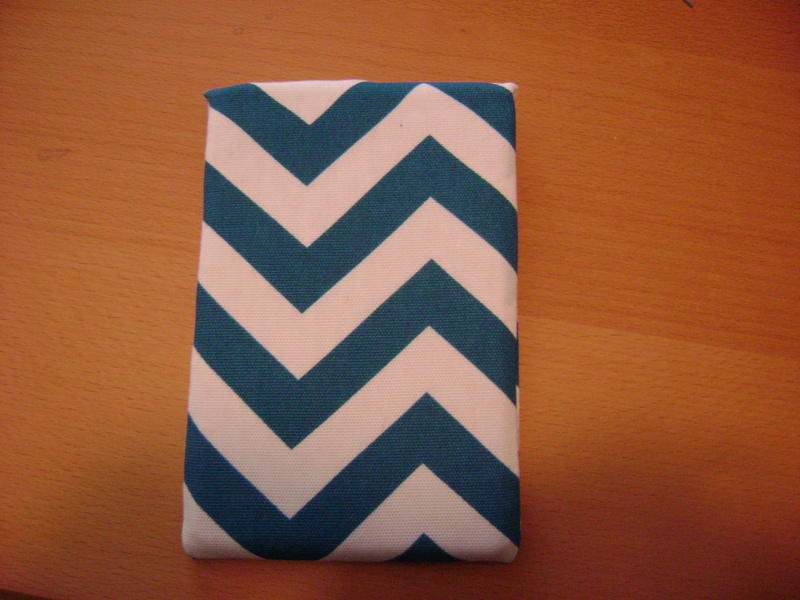 Here is my case containing the Kindle Fire. 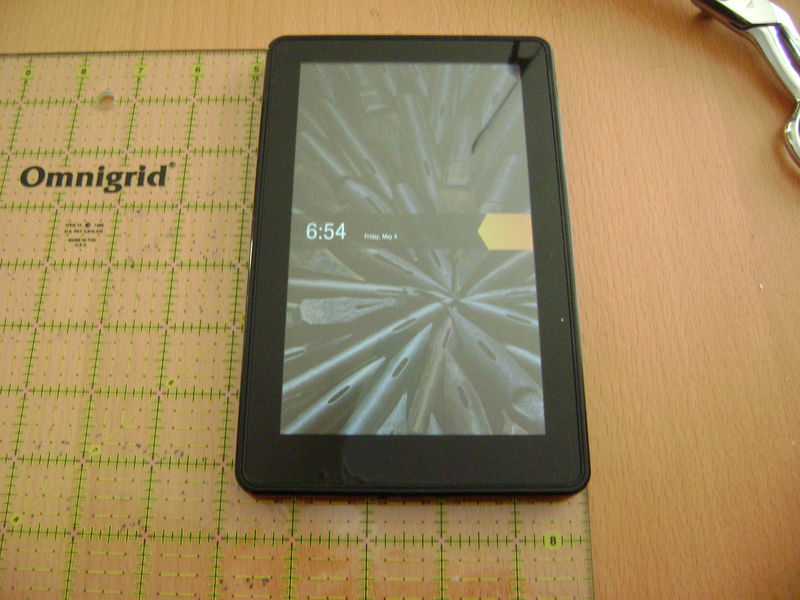 I started by measuring my Kindle and it was just under 5 inches wide and 7.5 inches long. I added an inch to the sides (but in the future I would add 2 inches) to make both the lining and outer fabric 6 inches wide (make it 7 for a less tight fit) and 20 inches long (7.5 +7.5 for the length + 5 for the flap). 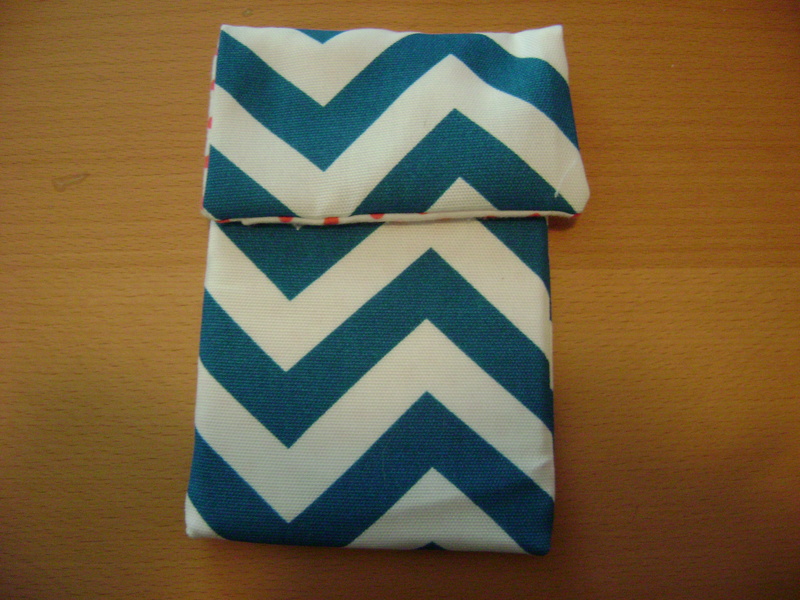 I also used home decor fabric for the outside and 100% cotton flannel for the lining to prevent scratching. I used a quarter inch seam allowance and sewed the lining and outer fabric right sides together leaving one of the short ends open. I clipped the two corners that had been sewn and turned the fabric right side out. Press the lining and outer fabric, turning the fabric in, and edge stitch. 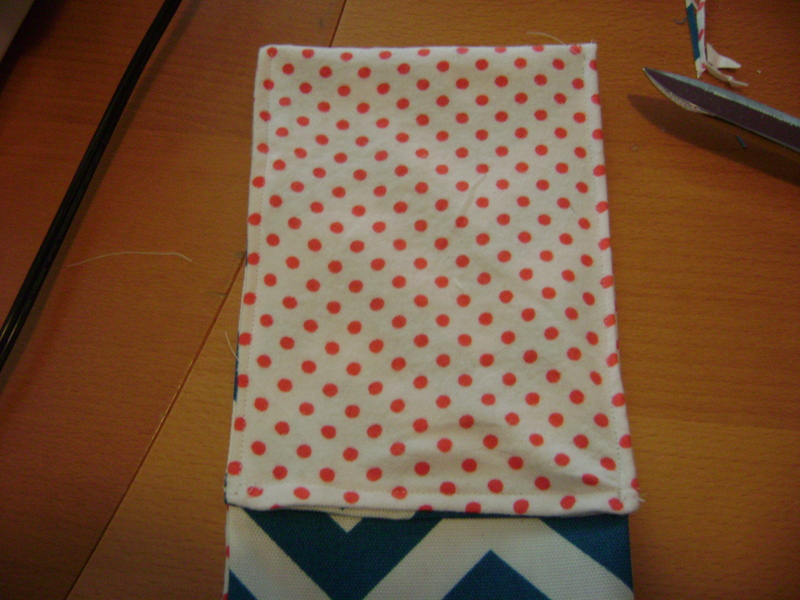 Next, with my lining fabric facing out I placed my Kindle inside and decided how high I wanted my pouch to reach. I know I will probably throw my Kindle in my purse a lot, so I don’t want it to get scratched. I chose to have my edge go all the way to the top of my Kindle. I placed my edge stitched end at the top of my Kindle. I edge stitched up both sides to the top of the pouch and reversed a couple of stitches at both ends. Turn it right sides out and try the fit! Here is my Kindle inside the pouch. 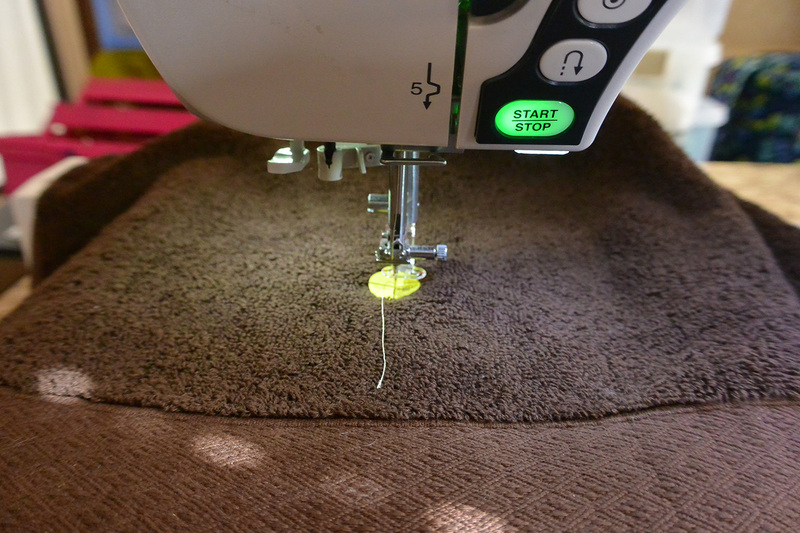 You could also use a button or Velcro closure if you would prefer. I just left mind loose. 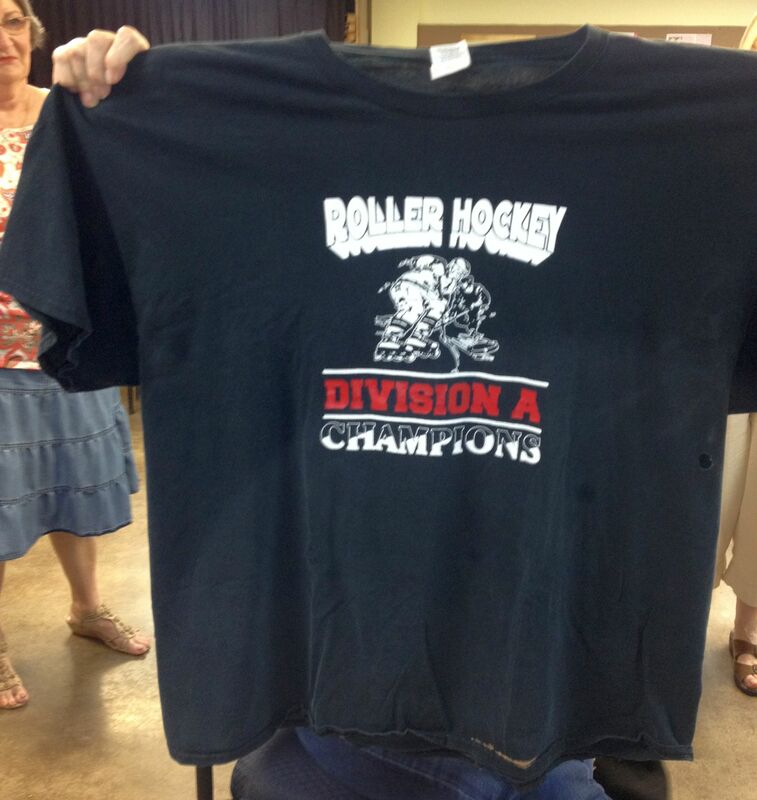 Here is the back. 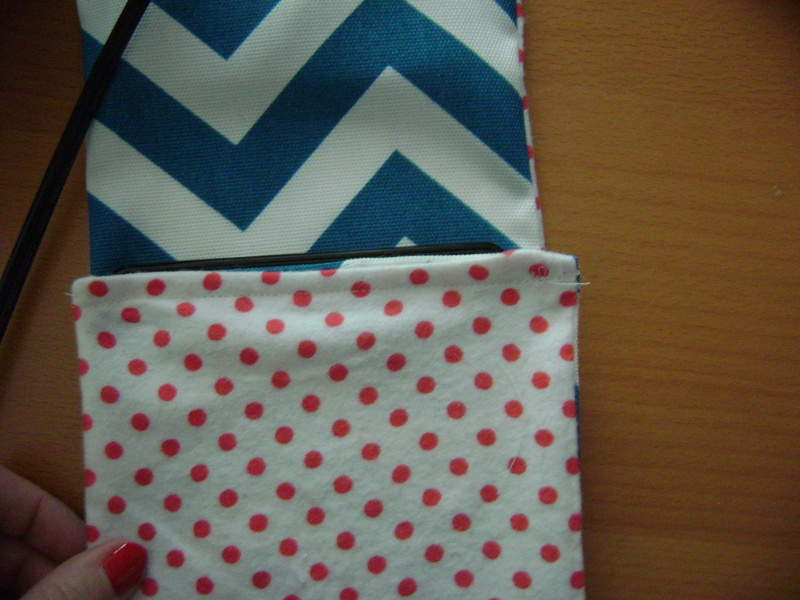 It is a quick and cheap Kindle cover made out of a few scraps. Thanks for reading, and see more of my work at my blog. 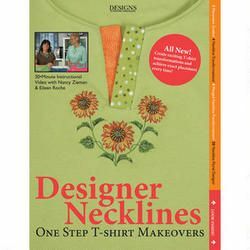 This entry was posted in Accessories, Project Tutorials and tagged e-reader cover tutorial on May 4, 2012 by staciethinks.